Fuelfed members have been asking for an interesting day drive and one that does not go to Wisconsin. In our constant quest to do things that are original, we decided to go south and visit our industrial roots. On Saturday, May 11, we are teaming up with Rambler (no, not the car) to do a combined rally along the ICM canal and the Illinois river south to the hip warehouse district in downtown Peoria. We’ll conclude our drive with a closed-street classic car / motorcycle show with local merchants offering moto-outdoor goods, food & drink. 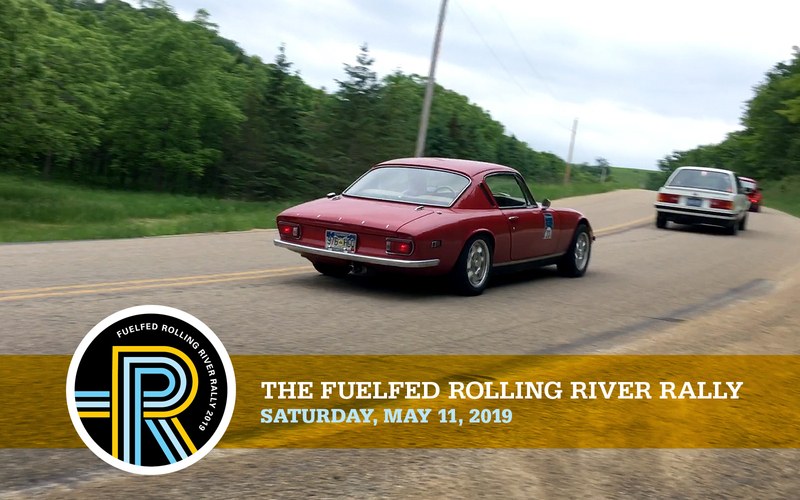 This Fuelfed event starts in Bolingbrook at 8:00am and breaks in Starved Rock to meet-up with the Rambler guys at 10:30. They will lead us along their favorite routes following the majestic rolling tree-lined hills of the Illinois river. The street fest will start when we arrive around 12:30pm. We’ll depart Peoria for Chicagoland around 4:00pm. The Rolling River Rally is open to all Classic and Modern Fuelfed member cars. Keep in mind this a 400 mile day drive. $20 event fee includes RRRally stickers and discount vouchers for food & drink.